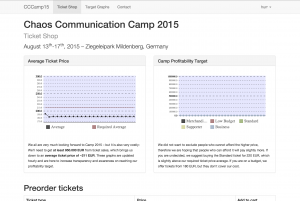 Camp 2015 Ticket Shop is open now! 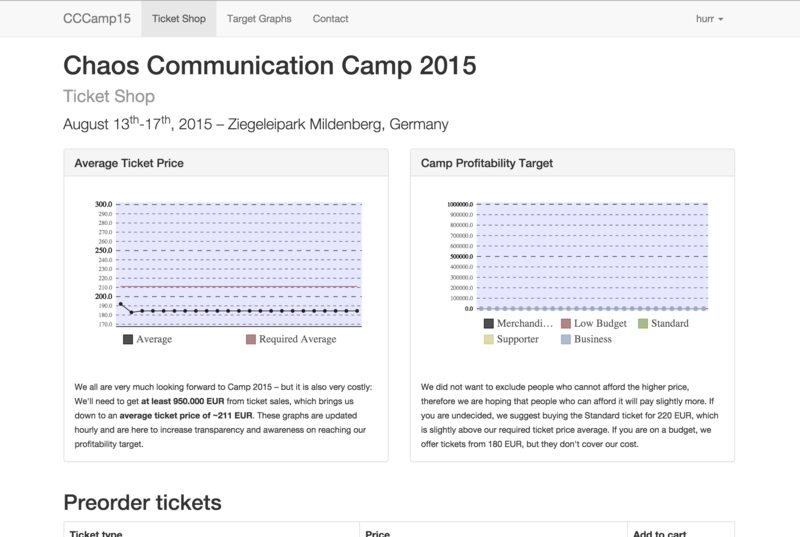 We all are very much looking forward to Camp 2015 – the new location makes things very exciting but such a new location also makes it very costly: We’ll need to get at least 950.000 EUR from ticket sales, which brings us down to an average ticket price of ~212 EUR. When we moved the Congress to the new venue in 2012 we have been facing the same issue, remember? Back then, we didn’t want to raise the price above 100 EUR and right now we don’t want to go above 200 EUR: We leave this, again, up to everyone of you to contribute as much as you can afford to – to make the Camp affordable for everyone in sum. Up-and-coming tickets for 50 EUR. If you are on a low budget, there is the option to buy a ticket for 200 or even 180. As usual there is also the friends request available, so that everybody is able to attend. Please be aware that there will be no ticket sale on site! So go ahead and get your ticket right now: https://tickets.events.ccc.de/ – if you have further questions please refer to our wikipage. Shame on us, we forgot the Up-and-coming tickets for our young generation! This is fixed now. If you are under 12 you get in for free! Between the age of 12 and 18 you are eligible for an Up-and-coming ticket for 50 EUR. That means, you must convince us to be born before August 13th 1997. Please bring a (sufficiently convincing fake of a) document / photo ID stating your age.